Countless real shells form playful accents on the surface of the table lamp Muschelball, which comes in warm shades of brown and beige. 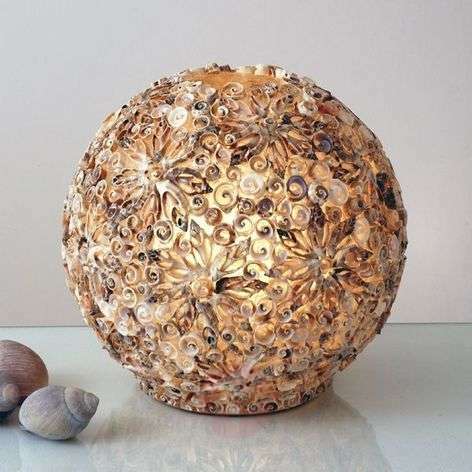 The underlying fibre glass ball has been decorated with the shells by hand. 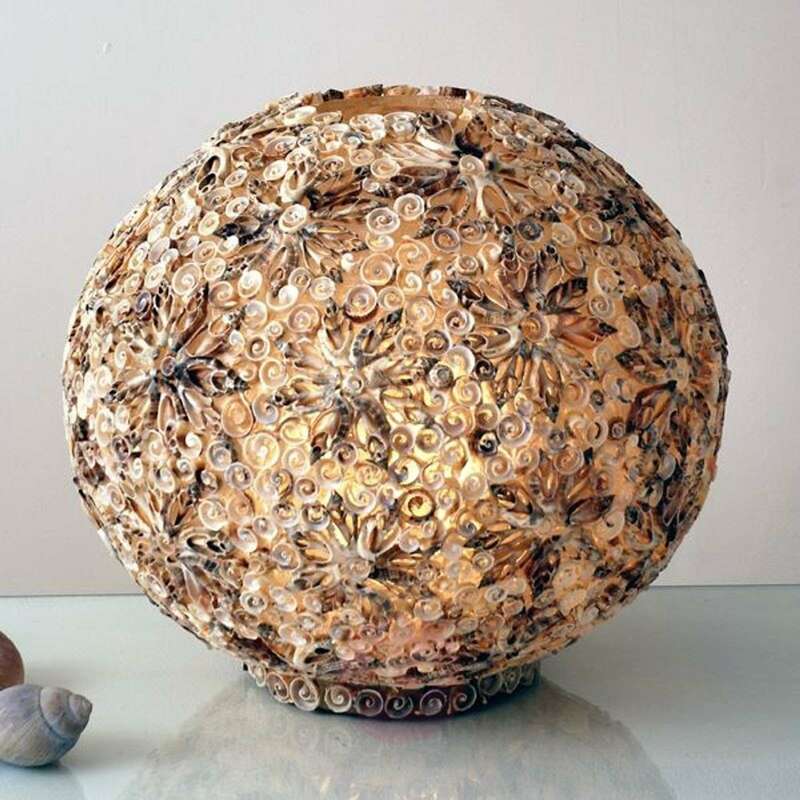 Ornate shell shapes adorn the spaces through which the light shines gently.